How do you get started as a woman in the engineering world? Do you need a computer science degree to even get looked at? 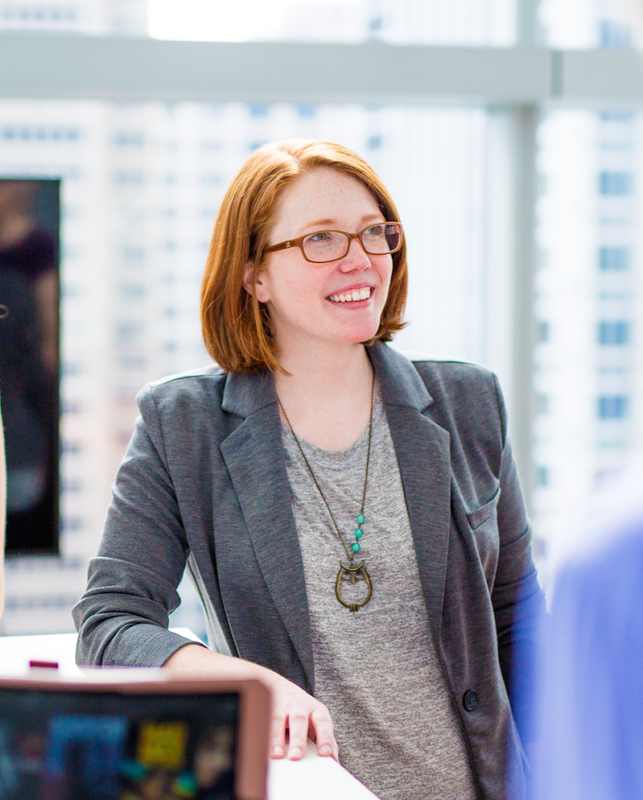 In this second installment of our series Conversations with a Female Engineer, we hear from Shannon Moores, Sr. Engineering Manager of Comcast xFi APIs. If you missed out first chat with Microsoft’s Lorraine Bardeen, you can catch up here. What is your current role and how did you get there? I joined Comcast right out of college doing editorial work for our .net and .com sites. A key part of my job was working with our Content Management System, where I found some bugs and suggested tweaks to make it easier to use. I started working alongside engineers and learning about our systems and processes. Eventually, I was offered to lead my first team of engineers. Since then, I’ve been building and managing engineering teams, learning various technology stacks, programming languages, and tools. Did you always want to work in tech? One of the reasons I joined Comcast was for the opportunity to work at a company delivering technology to tens of millions of customers. You get a tremendous sense here of the impact of your work, particularly when you deliver products and updates that improve customers’ lives. My managers recognized my potential to work in software engineering — even without a formal computer science education. Once I joined the engineering team, I loved the fast-paced and challenging environment where I was able to influence and shape a product our customers use daily. What was your educational path, did you study engineering in school? STEM or arts? Bachelors in English with a focus in Technical Writing. I knew I liked computers and technology but didn’t feel like my math was as strong I as wanted it to be. Technical Writing was the bridge for me. As part of our senior project we were paired with software engineers and helped edit their final senior project which allowed me to learn about software concepts without the CS classes. How important is female leadership in a company? Female leadership is paramount to providing diverse products and solutions. Having people from various backgrounds who might approach a problem in a completely novel way is equally critical. Diversity is the spark that drives innovation. Did you have a mentor? How important is mentorship in keeping young women in the tech field? I’ve had many informal mentors along my journey. When I’m doubting myself or struggling, I’ll speak with one of my mentors to remind me to take a step back and assess the situation. Mentors have been critical to my success, and at many points have provided me the encouragement and direction I needed to continue moving forward in this challenging field. I encourage any women starting out to find a mentor because we are all stronger together. What advice do you have for women who want to enter the tech field? If you enjoy technology, you can succeed in the tech field. Many people I’ve met are concerned about their lack of a computer science degree or programming experience. I’m proof that success is not tied to a static list of pre-qualifications. What’s critical is that you ask questions, be curious and learn, become an expert in an area. If you use your current role to gather skills necessary for the next, more opportunities will open to you. How can companies encourage more women to work in technology? Companies can create mentoring programs and employee resource groups to help encourage women to work in the technology industry, but I think it’s also important that we all devote effort towards it too. Once we’ve convinced someone that technology is an exciting industry, we need to actively create environments and cultures that encourage women to stay. A big part of that is making sure there are lots of women at every level of the company. On the Digital Home team, where I work, I’m really honored to work with women who are more junior and more senior than I am. Women in leadership roles can set a great tone for women candidates deciding whether to take a job.